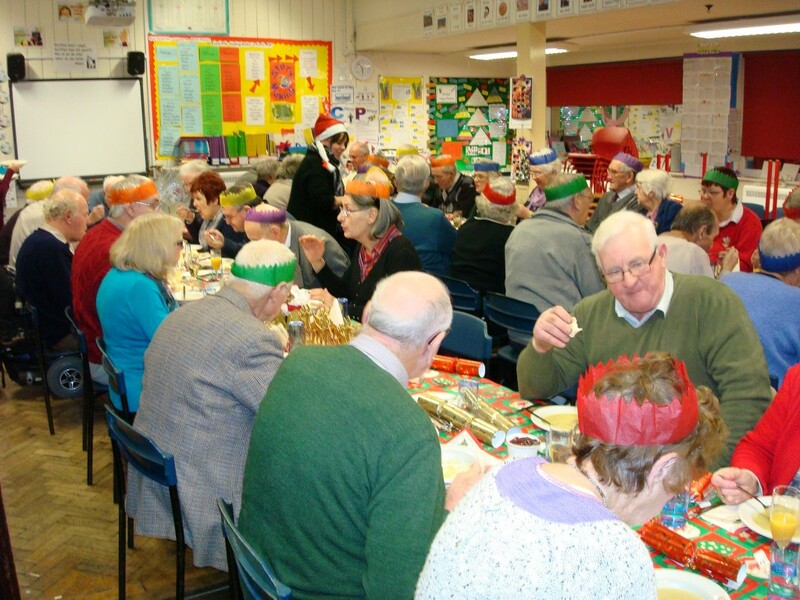 Once again the Football Club together with the School organised a Xmas Party for the Senior Citizens living in the Club’s Summer League catchment area. The excellent food was cooked by Jane Evans and Amanda Nancarrow; Bov, once again provided the musical entertainment and an enoyable evening was had by all. The criteria for an invitation to the dinner is that invitees will have attained the National Pensionable age (and their spouse) and live in the Rhewl Football Club catchment area. It is very difficult for the Football Club to know the exact age of all the residents and therefore who to invite, so we will be grateful if you qualify to contact Cath Humpoletz on 01824 704827 or 07785 785493. Amanda Nancarrow, Cath Humpoletz, Karen Lloyd and Ian Hession were thanked for their efforts in running the Rhewl Cafe on match nights. Ian Hession and John Eryl Hughes were thanked for their work on the pitch and Cath Humpoletz for laundering the kit also her work as Secretary.. The Club is anxious to sign new players – anyone living in catchment area of the club are allowed to play but they must contact the secretary or Team Manager in the next couple of weeks to enable them to be officially registered by the Summer League. The Club would like to thank the staff of our excellent Cafe – Amanda Nancarrow, Ian Hession, Cath Humpoletz and Karen Lloyd for having an excellent season and earning record profits. The Club would like to thank Ian Hession and John Eryl Hughes for the work in mowing the grass on the pitch. 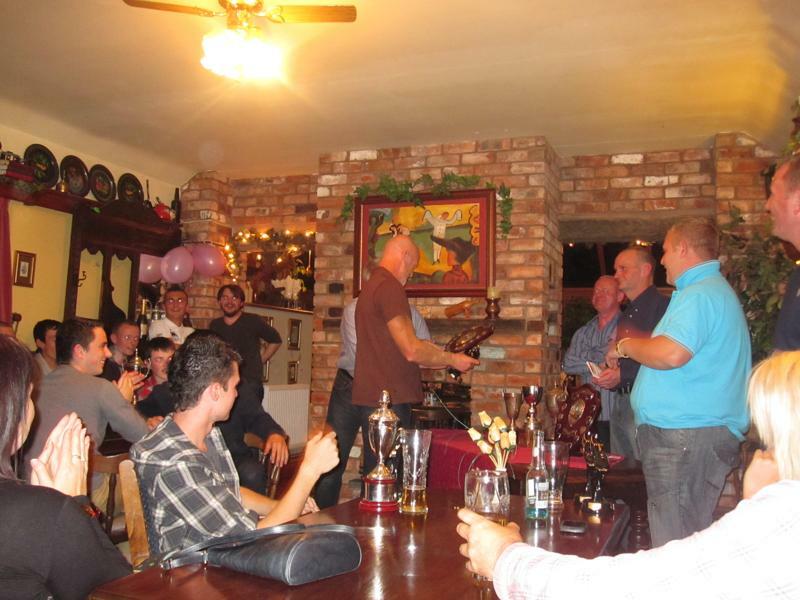 The Presentation evening was held at the Pavilion on August 3rd 2013 and the club would like thanks Mr Eryl Owen for his generosity that evening. 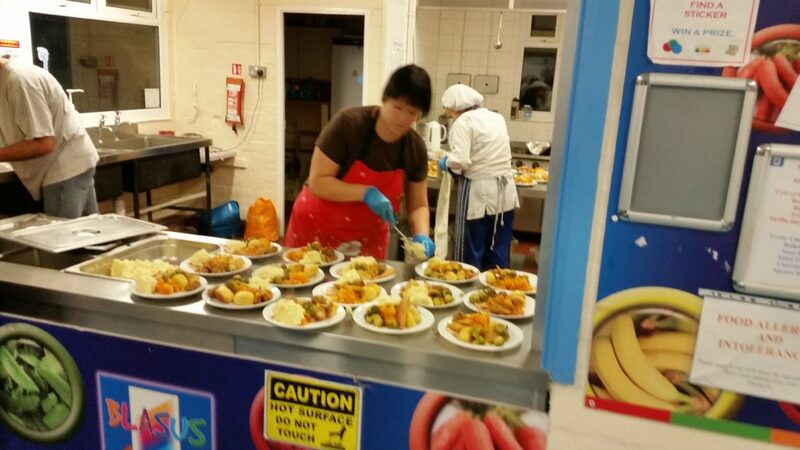 A very successful Xmas party was held in conjunction once again with Rhewl School. The School Cooks and the Headmistress, once again,prepared a wonderful meal which was enjoyed by all. Many thanks to everyone who helped us that evening – particularly the girls and of course to Bov for providing the entertainment once again. The season has been a disappointing season for the club finishing 3rd from the bottom of the table and being knocked out of the Shield Competition in the Preliminary Round by Llandyrnog 5-6. The annual Dinner & Dance at the Pavilion on the Saturday 1st of September has been cancelled due to lack of support. 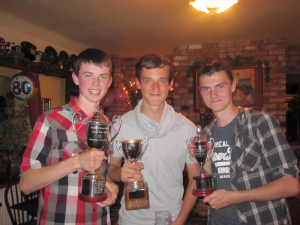 Chairman Mr Gareth Williams reported on a very succesful 2011 Summer League season with the club finishing third in the Championship with a very young team. 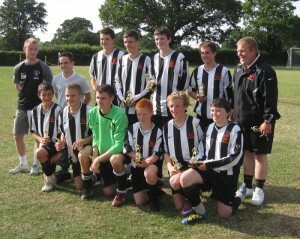 He also congratulated the Under-16 team for narrowly losing their 7-a-side title. He thanked everyone for their efforts particularly the retiring manager Mr Peter Lloyd, Ms Cath Humpoletz and Ms Amanda Nancarrow. 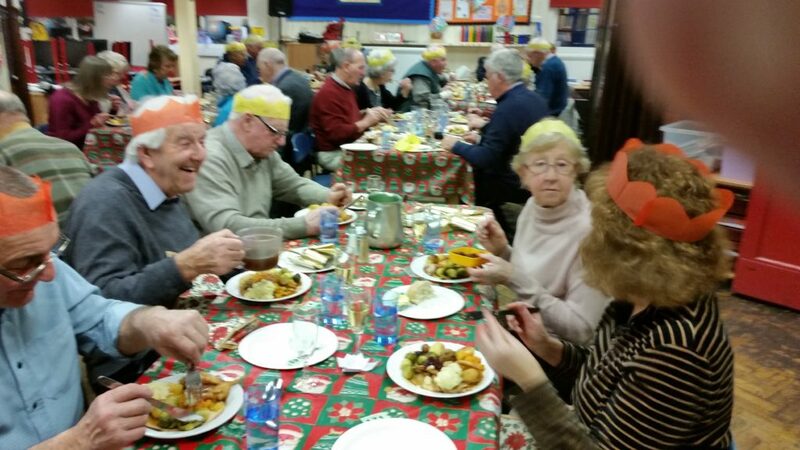 He also reported on another succesful OAP Xmas Dinner and he thanked Brynhyfryd School, Llanynys Community Playing Field Association and, of course, Rhewl School for their co-operation. 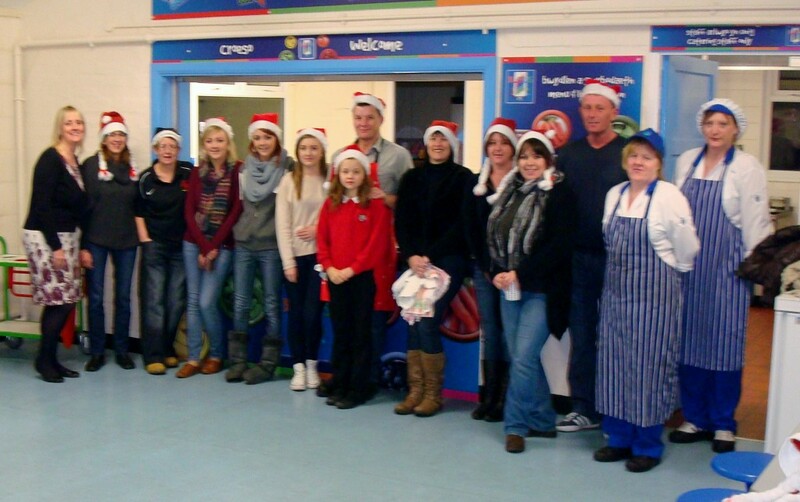 The club held another successful Xmas Part at Rhewl School on Thursday 15th December. The School Cooks and the Headmistress, once again,prepared a wonderful meal which was enjoyed by all. The Club are proud of their record of holding these events since the early seventies. 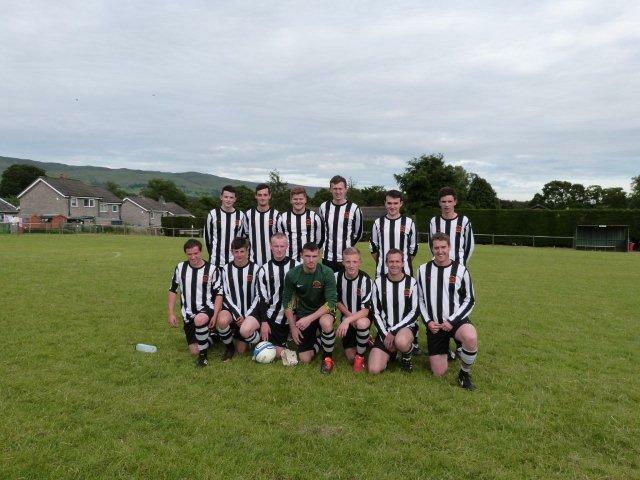 The Clubs Junior side had a very successful afternoon on Saturday 2nd of July on their home ground and they narrowly lost to their neighbours – Llangynhafal by the single goal scored by Tirion Roberts. The goal was an absoute screamer and out of context with the rest of the game which Rhewl dominated throughout without looking as if they would score. The Rhewl team has for the last 5 years reached the final of the competition and 3 of these they have won. It was a lovely afternoon with a large crowd enjoying the football. The Rhewl Club laid on refreshments and thanks to Amanda, Cath, Gail, Gags and Hesh for all their excellent work. Come and enjoy Amanda and Cath’s bacon butties at the Pavilion Cafe during matches. The Club have had a tremendous season so far finishing a excellent 3rd place in the final league placings; this compares with being 3rd from bottom last year. The acquisition of Anthony Marshall now living in Llanynys has really helped the club and with experienced Geoff Hinchcliffe supporting the youngsters in defence – the club has really improved a tremendous amount. 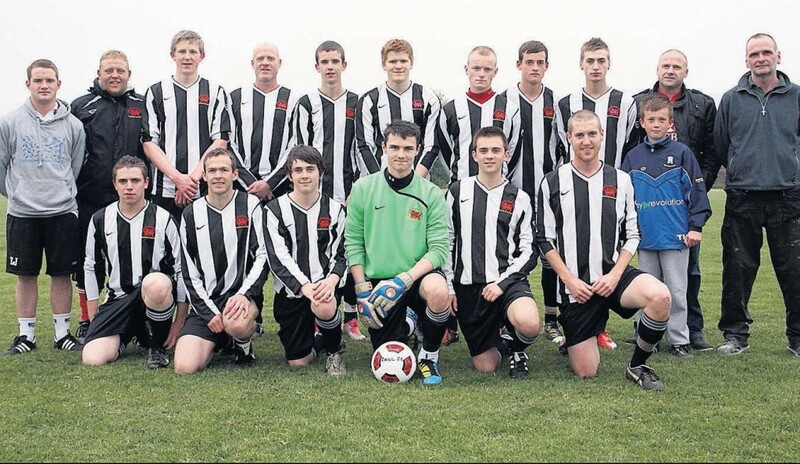 Manager Peter Lloyd must be extremely happy with the final League placing as his choice was often restricted due to some of his young players commitments to their School and Winter club fixtures and also School exam; this however gave opportunities to other players particularly the golden oldies.